Shh ! This is one of Funchal’s secrets. Hence, most locals do not even know about it. Livraria Esperança – Funchal Bookstore sits in downtown Funchal. The Livraria Esperança in Funchal is the largest bookstore in Portugal. 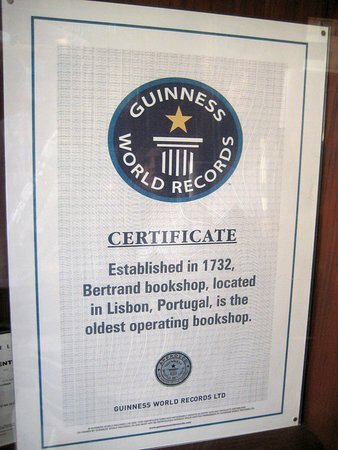 Furthermore, it is the second largest bookshop in the world showing book only by their covers. They applied in 1996 to obtain the Guinness World Record. However, a New York bookstore outnumbered the Livraria Esperança. In 1996. Livraria Esperança counted 107 thousand books. 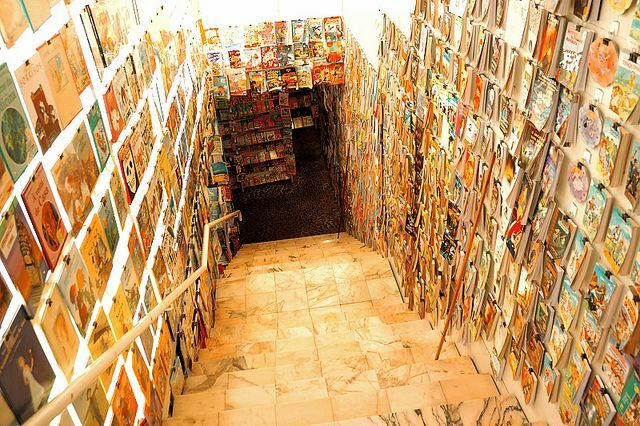 One of the particularities of this Funchal book store is that all books are shown by their cover. Consequently, the book store is simply huge with over 20 rooms spreading over three stories and one thousand two hundred square meters. Most of the books are in Portuguese. However, there is a good size foreign language section. This book aficionado hang-out was founded in 1886. Today, the fourth generation of Esperança lovingly manages the store claiming to hold every book ever written in Portuguese. As soon as a book sells, a replacement is ordered until the publisher runs out of stock. The last book count dates back in 1996, so it is probably time to update the database. Who knows maybe they will apply once more to the Guinness World Records.